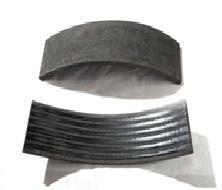 OEM-approved bonding segments are made for automotive and industrial use. ProTec pricing is competitive for both low and high volume. Drilled segments for all popular passenger car rear drum brakes are available.